Driving new business models, novel ways of working and a new world of communication & collaboration. Therefore, it’s only a matter of time till businesses sticking to legacy structures, if still existent, are totally outperformed by enterprises embracing data-driven digital transformation. BBI puts the pieces together to facilitate a smooth transition into the digital enterprise. Believing business applications are at the heart of successful digital transformations. BBI enables our clients to achieve their strategic goals for talent management in an efficient way. It is our pleasure to announce that Hany Madkour, VP Digital Strategy – BBI, is participating and selected as one of the speakers at the Leadership Forum by Madinah for Leadership and entrepreneurship in Madinah, KSA Happening on 10&11 April, he will be delivering a presentation focused on Data Analytics and its role in improving the healthcare ecosystem. 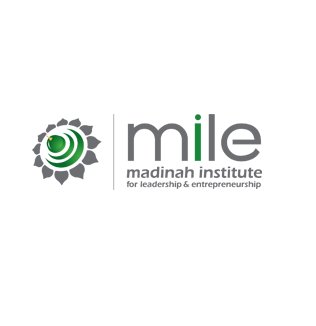 Check MILE website for more details. BBI strives to stay on the edge of technologies in order to offer innovative solutions which answer today’s most challenging business questions. ML is evolving as data mining becomes more critical to businesses who need to make sense of Big Data. what we do with things once they are connected and supplying us data. BBI offers a wide range of proven, data-driven, industry-specific solutions to enable businesses gain insight from performance data helping them meet the needs of customers today and tomorrow. BBI works to achieve digital convergence and quickly propose the next best offer and launch new business models. Bring the latest ideas and insights into the digital transformation of our civic spaces and lives. BBI helps retail businesses serve their customers consistently across all the channels. BBI Consultancy cultivates a work environment that attracts, trains and retains the most skilled employees and professionals in today’s workplace.